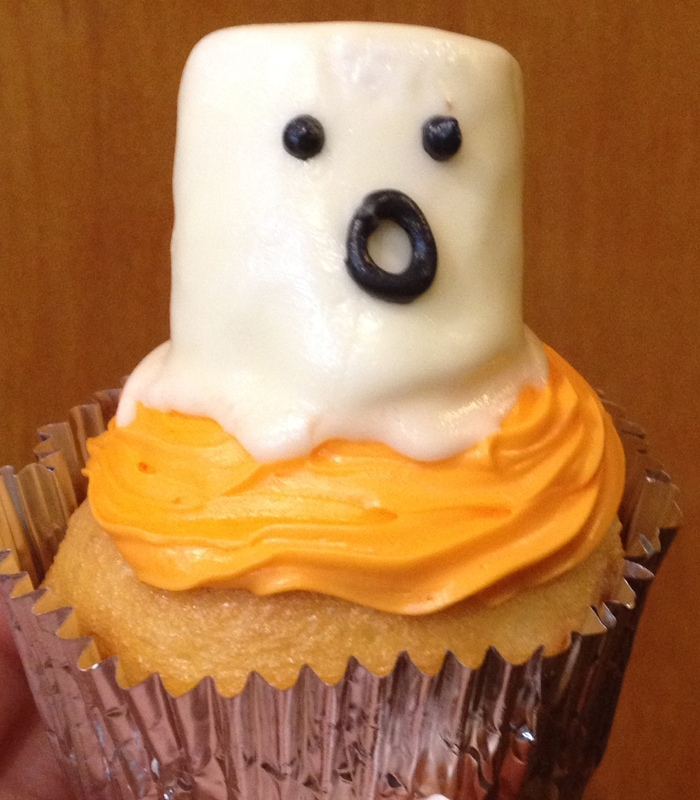 Last week I had offered to send in cupcakes for the 1st grade Halloween party. Just like everything else it seemed like a good idea a week ago but as Halloween began to creep up panic started to set in. Normally I like to make icing from scratch and I tend to shoot for elaborate cupcake designs, and basically make my life harder. However, I am getting a little wiser in my old age and I began a search for an easy but impressive looking cupcake. I found this idea on the Betty Crocker website. Jackpot! Easy to make and so adorable. 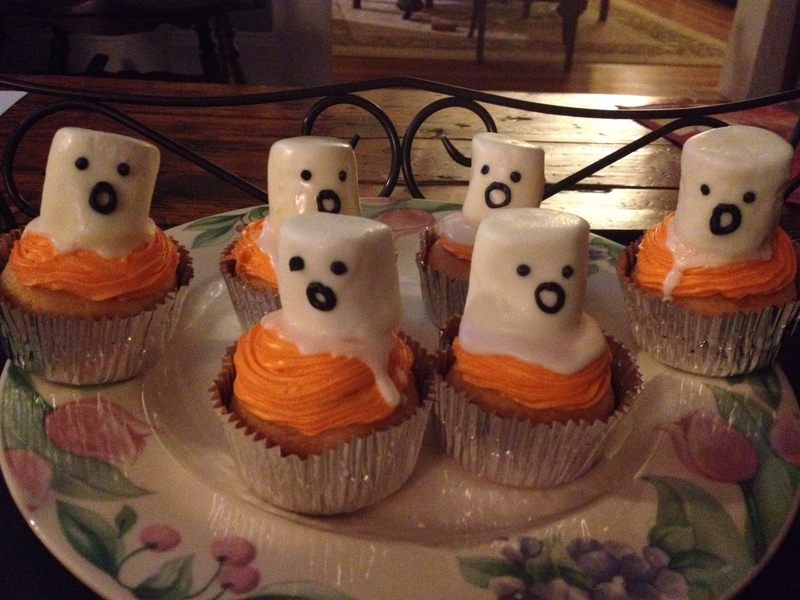 To make boo cupcakes you need a box of cake mix, a bag of marshmallows, two cans of vanilla icing, orange and black food coloring.